Bed bug bites can often appear red and itchy and in a line or cluster. 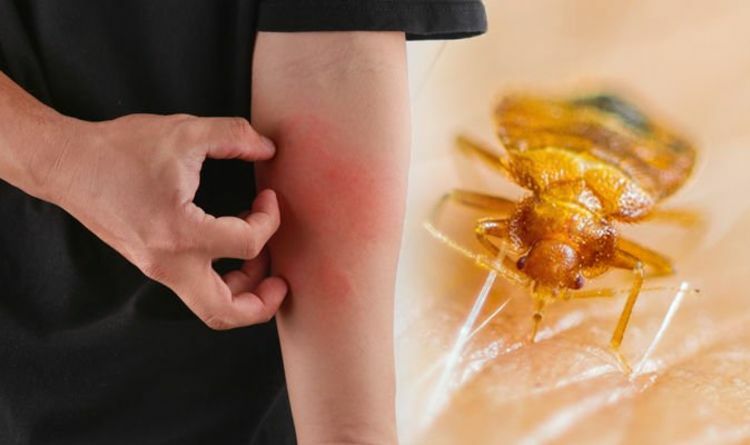 Some people may experience a bad reaction to the bites which can raise the level of itchiness and cause painful swelling. But spotting bed bugs to identify if they’re the cause can be very difficult. Not only are they minuscule – around 5mm long – they tend to only bite exposed skin during nighttime. So what other ways can you spot a bed bug infestation? Another way to identify if it’s bed bugs biting you, particularly if you have a heavy infestation, is by three scents in your home. There are three smells many people have associated with bed bugs, all of which are described as being very distinctive. Other ways to identify a bed bug infestation, according to the NHS, are spots of blood on your bedding 0 from the bites or from squashing a bed bug – and small brown spots on bedding or furniture (bed bug poo). If you’re bitten by bed bugs, the first step is to wash the affected areas with soap and warm water, according to Rentokil. They can also be relieved by applying an ice pack to reduce the swelling. How can you get rid of an infestation? You’ll likely need professional help to eliminate an infestation completely, but there are a number of methods you can carry out yourself in the meantime to help the problem.